A great op shop needs three things – killer prices, functional organisation, and unique choices. Ciao has ventured around some of the lesser known op shops in the Inner West, looking for the perfect fit. 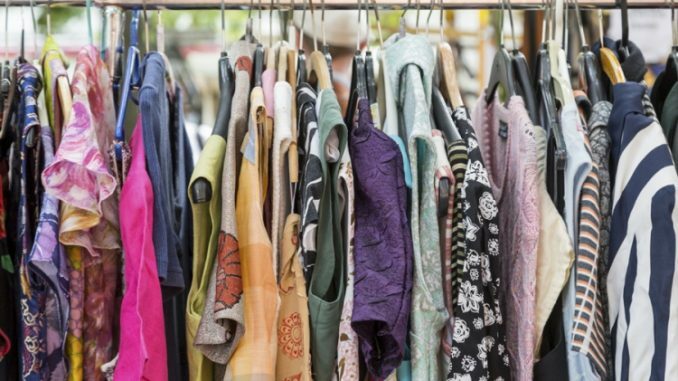 We’re cautious to share some of these more secret spots, but since shopping secondhand is one of the best ways to live sustainably, we hope you treat yourself to a bargain while minimising your consumption. A treasure trove of bric a brac, the clothes at PM store are an impressive collection of special vintage finds and quirky individual pieces. The friendly staff are ready to help you out wherever you need, and the great prices in this store are hard to beat. The new and used goods include antiques, jewellery, kitchenware, and paintings, in addition to clothes. The store is a little bit off the beaten track, but the wealth of choice means you can spend hours trawling through the great finds and will be guaranteed to find something you like. The proceeds go to the Greek Orthodox Archdiocese of Australia. Another slightly hidden store, Noffs Op Shop is a temporary store in Marrickville with high quality clothing at a great price. With a 50% sale every few months on a Saturday, there’s a chance to get some of your favourite items for even cheaper. The $2 bargain bath houses a range of pre-loved books, DVDs and CDs curated by the volunteer team each week. As a social enterprise, all of Noff’s proceeds go towards boosting Aussie youths and tackling issues of drug and alcohol abuse amongst young people. This secret Concord Op Shop is our favourite pick of the bunch, although you’ll have to get there in its slim opening hours — only 8.30am til 1.30pm on Wednesdays! Selling clothes, blankets, towels, small electrical goods and kitchen items among others, it offers bargain prices to help those in need. All adult clothing is $3 and all kids’ clothing is $1. Whether from Kmart or Country Road, every item of clothing goes for the same flat rate. Blankets and sheets range from 50c to $5, and nothing in the store costs more than $10. The stock constantly changes as they clear out their clothes every free weeks to share with other charities. Money made at Concord Charity Op Shop goes to Uniting Church, Father Riley and the Exodus Foundation. The only op shop in Five Dock, Save the Children is filled with fashionable clothing choices and trendy old wares. In a suburb flooded with Italians who traditionally have a great taste in fashion, there’s a great chance you can pick up some of their vintage pieces. There’s also a wide array of recycled toys and books, and your purchases are guaranteed to go to a good cause – creating better lives for children at home and around the world.